Introducing Christian author and speaker Joan M. Koss Are you ready for a dynamic Christian speaker who engages her audience with her transforming message(s)? 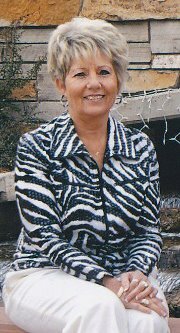 Joan M. Koss desire is to inspire her audience with wisdom, grace, humor and hope. Memorable lessons are incorporated into her presentations with poignant heartfelt stories. Those who know Joan say that there is a bubbling up of Jesus-Joy that exudes from her that is absolutely contagious. Joan is an individual who loves life and laughter but has also walked roads of fear, depression and grief. She has an amazing testimony. The Lord has been ministering through Joan for several years now, using her life experiences to speak to the wounded heart. With sincerity, vulnerability, and passion Joan brings a message of hope! Joan would love to speak at your event, conference, retreat, banquet, Christmas event, or tea. She’s an amazingly talented down to earth Christian speaker, author. This entry was posted in Christian based. Bookmark the permalink.